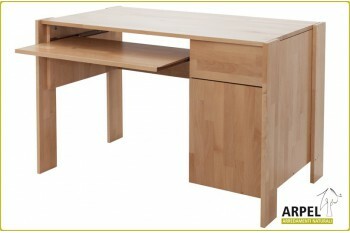 Classic or PC desks, child-oriented, in solid beechwood and treated with non-toxic varnishes. 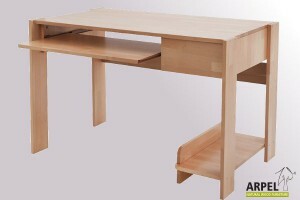 Pc Desk, computer desk with removable shelf. At the bottom,on the right, there's a shelf for the computer; under the top, on the same side, a comfortable drawer. The overall dimensions are L-H-D 114x74x66. 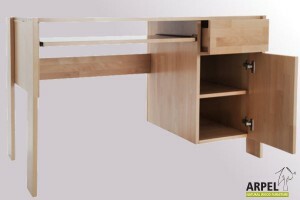 Plus desk with removable shelf under the bottom, provided with a drawer and a compartment with hinged door, L-H-D 114x74x66.